The Renault-Nissan-Mitsubishi Alliance is in a state of chaos after its chairman and CEO Carlos Ghosn was arrested in Japan, which resulted in his ousting at both Nissan and Mitsubishi. Such is the scale of what’s at stake that the prime minister of Japan Shinzo Abe and president of France Emmanuel Macron met on Friday for bilateral talks regarding the matter at the G20 summit in Buenos Aires, according to Reuters. Since the arrest, Nissan has sought to weaken Renault’s control over the alliance, and Macron “restated his firm wish that the alliance should be preserved, along with the stability of the group,” said a French official after the meeting. The French government has repeatedly urged Japan to share evidence regarding Nissan’s internal investigation into Ghosn. Meanwhile, Abe said it was important to “maintain a stable relationship,” according to a spokesperson. “However, he said the future of the alliance is up to the private-sector shareholders. The government of Japan does not prejudge the future of the alliance,” the spokesperson added. Ghosn was arrested over financial misconduct allegations, including the underreporting of his income, and the French official quoted Abe as telling Macron that “the legal process must be allowed to take its course.” Japanese media reported that prosecutors there extended Ghosn’s detention for a second time on Friday, to the maximum 10 days allowed. They must either file charges on December 10 or arrest him for new crimes to remand him beyond that date. The stakes are especially high for the France as it owns 15% of Renault and wants to maintain an ownership structure that preserves its control of the partnership. During his tenure as economy minister, Macron spearheaded France’s surprise increase of its Renault stake in 2015, which raised concern within Nissan over the French government’s intention to gain control over the Japanese carmaker. Nissan’s CEO Hiroto Saikawa has been clear that Nissan intends to weaken the influence of the smaller Renault as it conducts a governance review. Renault’s 43.4% stake in Nissan ensures an effective voting majority at shareholder meetings, while Nissan’s 15% stake in Renault carries no voting rights. A diplomatic dispute occurred in the lead-up to the leaders’ meeting over the comments made by French finance minister Bruno Le Maire, who claimed that his Japanese counterpart Hiroshige Seko had earlier agreed that the alliance’s ownership structure should remain unchanged. 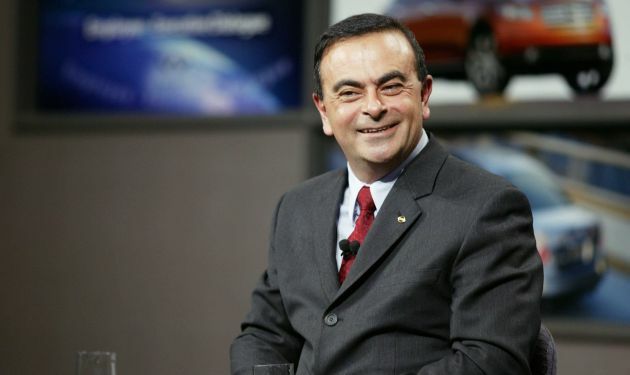 In a brief press release on Thursday, Renault, Nissan and Mitsubishi “emphatically reiterated” their commitment to the alliance after their executives met in Amsterdam for the first time since Ghosn’s arrest. Mitsubishi CEO Osamu Masuko said that a review of the capital structure was not discussed at the meeting. Intriguing politiks between Frenchie & Jepunis lords. Too bad Ghosn had to be thee “trigger” that gave the Frenchie their Dec 7th. They can get Rowan Atkinson to replace the post since the two share the same face. Ah yes, right you are. Apologies for the error, it has been fixed. According to basher logic it is good to have foreign CEO but now…. He suddenly keep quiet about it now. Lolz! Nissan’s quality has decrease since the have an alliance with Renault. Anything Nissan’s Renault source would really have bad reliability. Imo Nissan should end their partnership with Renault and just keep Mitsubishi.